Filed to: walter m. shaub jr.Filed to: walter m. shaub jr.
Walter M. Shaub Jr. announced his resignation as director of the United States Office of Government Ethics on Thursday, which is surprising mostly because of how long it took. Shaub posted his letter to the White House on Twitter, and though he doesn’t say, “I’m leaving because you’re a clown car full of liars and conmen,” he does emphasize that the Office of Government Ethics is based on the “principle that public service is a public trust, requiring employees to place loyalty to the Constitution, the laws, and ethical principles above private gain.” Kind of implies that’s not what’s happening with the Trump administration, doesn’t it? 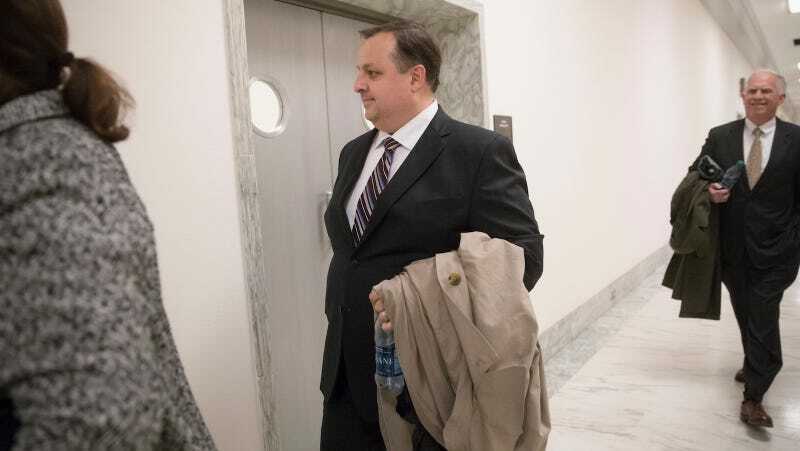 The New York Times reports that the Obama-appointed Shaub has been anticipating his termination since Trump was inaugurated, going so far as to pack up his office. In January, Shaub publicly chastised the members of Trump’s cabinet and Trump himself for failing to disentangle themselves form their various businesses that are obvious conflicts of interest while working in the White House. He’s butted heads with the administration constantly, from conflicts with Kellyanne Conway to the White House’s refusal to comply with a standard waivers request. Shaub is going to work for the Campaign Legal Center, a nonpartisan group that works on campaign finance reform and voting rights cases. The exciting news is that now that Shaub’s position is empty, a candidate will need to be appointed and put through confirmation hearings. It’s possible the administration will allow an acting director to sit in his place indefinitely, but if not, you can probably look forward to live-tweeting your rage as some old white guy evades questions about ethics.